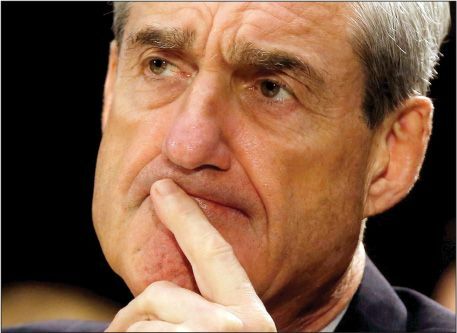 Mueller’s team is now reportedly reviewing financial records concerning the president, his business, his family members, and his campaign associates, with a focus on transactions involving Russians. Sources told CNN that investigators are hoping to find evidence of financial crimes, which could be used as leverage to encourage subjects of the investigation to cooperate. In a sign of the growing intensity of the probe, it was revealed this week that FBI agents raided the house of former Trump campaign chairman Paul Manafort last month, reportedly to search for tax documents and foreign banking records. Trump, who has suggested he would consider dismissing Mueller if he looked into his finances, told supporters at a rally in Huntington, W.Va., that the accusations of Russian collusion were a “fake story” designed to “cheat you out of the leadership that you want.” In the Senate, two Democrats and two Republicans jointly proposed bills that would prevent the president from unilaterally firing Mueller and require him to get approval from a three-judge panel. Mueller’s mandate is actually pretty broad, said Cristian Farias in NYMag.com. He was tasked with investigating possible Russian collusion, as well as “any matters that arose or may arise directly from the investigation.” With the grand jury, prosecutors can now explore “several theories of criminality.” Did Trump or his associates, including Manafort and former national security adviser Michael Flynn, engage in illegal or unreported financial transactions with Russians? Did Trump’s eldest son and his son-in-law continue secret conversations with Russians, after meeting with a Russian lawyer promising dirt on Hillary Clinton? And did Trump’s repeated attempts to squelch the investigation, and his firing of FBI Director James Comey, constitute an obstruction of justice? The impaneling of the grand jury is “an important milestone,” said Ryan Lizza in NewYorker.com. It confirms that the special counsel has evidence that crimes were committed, and it will make it even more “politically explosive” for the president to try to dismiss Mueller.